In the early decades of the nineteenth century the two most prominent figures in English literature were Sir Walter Scott and Lord Byron. They are still read and admired, especially Scott; but it is not easy to understand the enormous popularity of these two men in their own day. Their busts or pictures were in every cultivated family and in almost every shop-window. Everybody was familiar with the lineaments of their countenances, and even with every peculiarity of their dress. Who did not know the shape of the Byronic collar and the rough, plaided form of “the Wizard of the North”? Who could not repeat the most famous passages in the writings of these two authors? Is it so now? If not, what a commentary might be written on human fame! How transitory are the judgments of men in regard to every one whom fashion stamps! The verdict of critics is that only some half-dozen authors are now read with the interest and glow which their works called out a hundred years ago. Even the novels of Sir Walter, although to be found in every library, kindle but little enthusiasm compared with that excited by the masterpieces of Thackeray, Dickens, George Eliot, and of the favorites of the passing day. Why is this? Will these later lights also cease to burn? Will they too pass away? Is this age so much advanced that what pleased our grandfathers and grandmothers has no charm for us, but is often “flat, stale, and unprofitable,”–at least, decidedly uninteresting? I am inclined to the opinion that only a very small part of any man’s writings is really immortal. Take out the “Elegy in a Country Churchyard,” and how much is left of Gray for other generations to admire? And so of Goldsmith: besides the “Vicar of Wakefield” and the “Deserted Village,” there is little in his writings that is likely to prove immortal. Johnson wrote but little poetry that is now generally valued. Certainly his dictionary, his greatest work, is not immortal, and is scarcely a standard. Indeed, we have outgrown nearly everything which was prized so highly a century ago, not only in poetry and fiction, but in philosophy, theology, and science. Perhaps that is least permanent which once was regarded as most certain. If, then, the poetry and novels of Sir Walter Scott are not so much read or admired as they once were, we only say that he is no exception to the rule. I have in mind but two authors in the whole range of English literature that are read and prized as much to-day as they were two hundred years ago. And if this is true, what shall we say of rhetoricians like Macaulay, of critics like Carlyle, of theologians like Jonathan Edwards, of historians like Hume and Guizot, and of many other great men of whom it has been the fashion to say that their works are lasting as the language in which they were written? Some few books will doubtless live, but, alas, how few! Where now are the eight hundred thousand in the Alexandrian library, which Ptolemy collected with so great care,–what, even, their titles? Where are the writings of Varro, said to have been the most learned man of all antiquity? I make these introductory remarks to show how shallow is the criticism passed upon a novelist or poet like Scott, in that he is not now so popular or so much read as he was in his own day. It is the fate of most great writers,–the Augustines, the Voltaires, the Bayles of the world. It is enough to say that they were lauded and valued in their time, since this is about all we can say of most of the works supposed to be immortal. But when we remember the enthusiasm with which the novels of Scott were at first received, the great sums of money which were paid for them, and the honors he received from them, he may well claim a renown and a popularity such as no other literary man ever enjoyed. His eyes beheld the glory of a great name; his ears rang with the plaudits of idolaters; he had the consciousness of doing good work, universally acknowledged and gratefully remembered. Scarcely any other novelist ever created so much healthy pleasure combined with so much sound instruction. And, further, he left behind him a reproachless name, having fewer personal defects than any literary man of his time, being everywhere beloved, esteemed, and almost worshipped; whom distant travellers came to see,–sure of kind and gracious treatment; a hero in their eyes to the last, with no drawbacks such as marred the fame of Byron or of Burns. That so great a genius as Scott is fading in the minds of this generation may be not without comfort to those honest and hard-working men in every walk of human life who can say: We too were useful in our day, and had our share of honors and rewards,–all perhaps that we deserved, or even more. What if we are forgotten, as most men are destined to be? To live in the mouths of men is not the greatest thing or the best. “Act well your part, there all the honor lies,” for life after all is a drama or a stage. The supremest happiness is not in being praised; it is in the consciousness of doing right and being possessed with the power of goodness. When, however, a man has been seated on such a lofty pinnacle as was Sir Walter Scott, we wish to know something of his personal traits, and the steps by which he advanced to fame. Was he overrated, as most famous men have been? What is the niche he will probably occupy in the temple of literary fame? What are the characteristics of his productions? What gave him his prodigious and extraordinary popularity? Was he a born genius, like Byron and Burns, or was he merely a most industrious worker, aided by fortunate circumstances and the caprices of fashion? What were the intellectual forces of his day, and how did he come to be counted among them? All these points it is difficult to answer satisfactorily, but some light may be shed upon them. The bulky volumes of Lockhart’s Biography constitute a mine of information about Scott, but are now heavy reading, without much vivacity,–affording a strong contrast to Boswell’s Life of Johnson, which concealed nothing that we would like to know. A son-in-law is not likely to be a dispassionate biographer, especially when family pride and interests restrain him. On the other hand, it is not wise for a biographer to be too candid, and belittle his hero by the enumeration of foibles not consistent with the general tenor of the man’s life. Lockhart’s knowledge of his subject and his literary skill have given us much; and, with Scott’s own letters and the critical notice of his contemporaries, both the man and his works may be fairly estimated. Most biographers aim to make the birth and parentage of their heroes as respectable as possible. Of authors who are “nobly born” there are very few; most English and Scotch literary men are descended from ancestors of the middle class,–lawyers, clergymen, physicians, small landed proprietors, merchants, and so on,–who were able to give their sons an education in the universities. 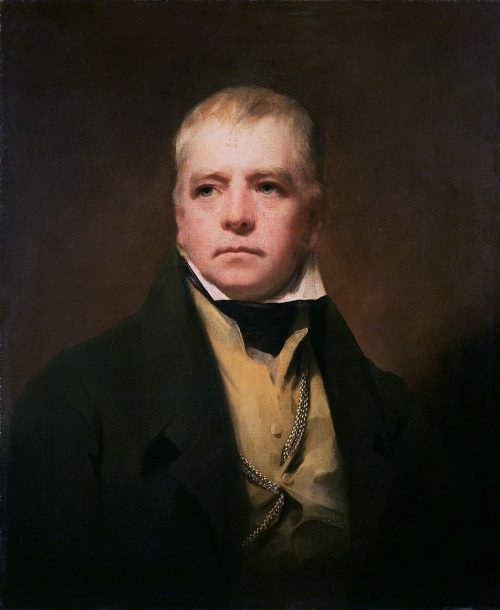 Sir Walter Scott traced his descent to an ancient Scottish chief. His grandfather, Robert Scott, was bred to the sea, but, being ship-wrecked near Dundee, he became a farmer, and was active in the cattle-trade. Scott’s father was a Writer to the Signet in Edinburgh,–what would be called in England a solicitor,–a thriving, respectable man, having a large and lucrative legal practice, and being highly esteemed for his industry and integrity; a zealous Presbyterian, formal and precise in manner, strict in the observance of the Sabbath, and of all that he considered to be right. His wife, Anne Rutherford, was the daughter of a professor of medicine in the University of Edinburgh,–a lady of rather better education than the average of her time; a mother whom Sir Walter remembered with great tenderness, and to whose ample memory and power of graphic description he owed much of his own skill in reproducing the past. Twelve children were the offspring of this marriage, although only five survived very early youth. Walter, the ninth child, was born on the 15th of August, 1771, and when quite young, in consequence of a fever, lost for a time the use of his right leg. By the advice of his grandfather, Dr. Rutherford, he was sent into the country for his health. As his lameness continued, he was, at the age of four, removed to Bath, going to London by sea. Bath was then a noted resort, and its waters were supposed to cure everything. Here little Walter remained a year under the care of his aunt, when he returned to Edinburgh, to his father’s house in George Square, which was his residence until his marriage, with occasional visits to the county seat of his maternal grandfather. He completely regained his health, although he was always lame. From the autobiography which Scott began but did not complete, it would appear that his lameness and solitary habits were favorable to reading; that even as a child he was greatly excited by tales and poems of adventure; and that as a youth he devoured everything he could find pertaining to early Scottish poetry and romance, of which he was passionately fond. He was also peculiarly susceptible to the beauties of Scottish scenery, being thus led to enjoy the country and its sports at a much earlier age than is common with boys,–which love was never lost, but grew with his advancing years. Among his fellows he was a hearty player, a forward fighter in boyish “bickers,” and a teller of tales that delighted his comrades. He was sweet-tempered, merry, generous, and well-beloved, yet peremptory and pertinacious in pursuit of his own ideas. In 1779, Walter was sent to the High School in Edinburgh; but his progress here was by no means remarkable, although he laid a good foundation for the acquisition of the Latin language. He also had a tutor at home, and from him learned the rudiments of French. With a head all on fire for chivalry and Scottish ballads, he admired the old Tory cavaliers and hated the Roundheads and Presbyterians. In three years he had become fairly familiar with Caesar, Livy, Sallust, Virgil, Horace, and Terence. He also distinguished himself by making Latin verses. From the High School he entered the University of Edinburgh, very well grounded in French and Latin. For Greek and mathematics he had an aversion, but made up for this deficiency by considerable acquisitions in English literature. He was delighted with both Ossian and Spenser, and could repeat the “Faërie Queene” by heart. His memory, like that of Macaulay, was remarkable. What delighted him more than Spenser were Hoole’s translations of Tasso and Ariosto (later he learned Italian, and read these in the original), and Percy’s “Reliques of Ancient Poetry.” At college he also read the best novels of the day, especially the works of Richardson, Fielding, and Smollett. He made respectable progress in philosophy under the teaching of the celebrated Dugald Stewart and Professor Bruce, and in history under Lord Woodhouselee. On the whole, he was not a remarkable boy, except for his notable memory (which, however, kept only what pleased him), and his very decided bent toward the poetic and chivalric in history, life, and literature. Walter was trained by his father to the law, and on leaving college he served the ordinary apprenticeship of five years in his father’s office and attendance upon the law classes in the University; but the drudgery of the law was irksome to him. When the time came to select his profession, as a Writer to the Signet or an advocate, he preferred the latter; although success here was more uncertain than as a solicitor. Up to the time of his admission to the bar he had read an enormous number of books, in a desultory way, and made many friends, some of whom afterwards became distinguished. His greatest pleasures were in long walks in the country with chosen companions. His love of Nature amounted to a passion, and in his long rambles he acquired not only vigorous health, but the capacity of undergoing great fatigue. Scott’s autobiography closes with his admission to the bar. From his own account his early career had not been particularly promising, although he was neither idle nor immoral. He was fond of convivial pleasures, but ever had uncommon self-control. All his instructors were gentlemanly, and he had access to the best society in Edinburgh, when that city was noted for its number of distinguished men in literature and in the different professions. His most intimate friends were John Irving, Sir Archibald Campbell, the Earl of Dalhousie, and Adam Ferguson, with whom he made excursions to the Highlands, and to ruined castles and abbeys of historic interest,–following with tireless search the new trail of an old Border ballad, or taking a thirty-mile walk to clear up some local legend of battle, foray, or historic event. In all these antiquarian raids the young fellows mingled freely with the people, and tramped the counties round about in most hilarious mood, by no means escaping the habits of the day in tavern sprees and drinking-bouts,–although Scott’s companions testify to his temperate indulgence. The young lawyer was, indeed, unwittingly preparing for his mission to paint Scottish scenery so vividly, and Scottish character so charmingly, that he may almost be said to have created a new country which succeeding generations delight to visit. No man was ever a greater benefactor to Scotland, whose glories and beauties he was the first to reveal, showing how the most thrifty, practical, and parsimonious people may be at the same time the most poetic. Here Burns and he go hand in hand, although as a poet Scott declared that he was not to be named in the same day with the most unfortunate man of genius that his country and his century produced. How singular that in all worldly matters the greater genius should have been a failure, while he, who as a born poet was the lesser light, should have been the greatest popular success of which Scotland can boast! And yet there is something almost as pathetic and tragical in the career of the man who worked himself to death, as in that of the man who drank himself to death. The most supremely fortunate writer of his day came to a mournful end, notwithstanding his unparalleled honors and his magnificent rewards. At the time Scott was admitted to the bar he was not, of course, aware of his great original creative powers, nor could he have had very sanguine expectations of a brilliant career. The profession he had chosen was not congenial with his habits or his genius, and hence as a lawyer he was not a success. And yet he was not a failure, for he had the respect of some of the finest minds in Edinburgh, and at once gained as an advocate enough to support himself respectably among aristocratic people,–aided no doubt by his father who, as a prosperous Writer to the Signet, threw business into his hands. Amid his practice at the courts he found time to visit some of the most interesting spots in Scotland, and he had money enough to gratify his tastes. He was a thriving rather than a prosperous lawyer; that is to say, he earned his living. But Scott was too much absorbed in literary studies and in writing ballads, to give to his numerous friends the hope of a distinguished legal career. No man can serve two masters. “His heart” was “in the Highlands a-chasing the deer,” or ransacking distant villages for antiquarian lore, or collecting ancient Scottish minstrelsy, or visiting moss-covered and ivy-clad ruins, famous before John Knox swept monasteries and nunneries away as cages of unclean birds; but most of all was he interested in the feuds between the Lowland and Highland chieftains, and in the contest between Roundheads and Cavaliers when Scotland lost her political independence. He did, however, find much in Scotch law to enrich his mind, with entanglements and antiquarian records, as well as the humors and tragedies of the courts; and of this his writings show many traces. No young lawyer ever had more efficient friends than Walter Scott. And richly he deserved them, for he was generous, companionable, loyal, a brilliant story-teller, a good hunter and sportsman, bright, cheerful, and witty, doubtless one of the most interesting young men in his beautiful city; modest, too, and unpretentious, yet proud, claiming nothing that nothing might be denied him, a favorite in the most select circles. His most striking peculiarity was his good sense, keeping him from all exaggerations, which were always offensive to him. He was a Tory, indeed; but no aristocrat ever had a more genial humanity, taking pleasure in any society where he could learn anything. His appetite was so healthy, from his rural sports and pedestrian feats, that he could dine equally well on a broiled haddock or a saddle of venison, although from the minuteness of his descriptions of Scottish banquets one might infer that he had great appreciation of the pleasures of the table. In 1795 Scott was appointed one of the Curators of the Advocates’ Library,–a compliment bestowed only on those members of the bar known to have a zeal in literary affairs; but I do not read that he published anything until 1796, when appeared his translation from the German of Bürger’s ballads, “The Wild Huntsman” and “Lenore.” This called out high commendation from Dugald Stewart, the famous professor of moral philosophy in the University of Edinburgh, and from other men of note, but obtained no recognition in England. It was during one of his rambles with his friend Ferguson to the English Lakes in 1797 that Scott met Miss Charlotte Margaret Carpenter, or Charpentier, a young French lady of notable beauty and lovely character. She had an income of about £200 a year, which, added to his earnings as an advocate, then about £150, encouraged him to offer to her his hand. For a young couple just starting in life £350 was an independence. The engagement met with no opposition from the lady’s family; and in December of 1797 Scott was married, and took a modest house in Castle Street, being then twenty-six years of age. The marriage turned out to be a happy one, although convenance had something to do with it. Of course, so healthy and romantic a nature as Scott’s had not passed through the susceptible time of youth without a love affair. From so small a circumstance as the lending of his umbrella to a young lady (Margaret, the beautiful daughter of Sir John Belches) he enjoyed five years of affection and of what seems to have been a reasonable hope, which, however, was finally ended by the young lady’s marrying Mr. William Forbes, a well-to-do banker, and later one of Scott’s best friends. “Three years of dreaming and two years of waking,” Scott calls it in one of his diaries, thirty years later; and his own marriage followed within a year after that of his lost love. With an income sufficient only for the necessities of life, as a married man in society Scott had not much to spare for expensive dinners, although given to hospitality. What money he could save was spent for books and travel. At twenty-six, he had visited what was most interesting in Scotland, either in scenery or historical associations, and some parts of England, especially the Cumberland Lakes. He took a cottage at Lasswade, near Edinburgh, and began there the fascinating pursuit of tree-planting and “place”-making. His vacations when the Courts were not in session were spent in excursions to mountain scenery and those retired villages where he could pick up antiquarian lore, particularly old Border ballads, heroic traditions of the times of chivalry, and of the conflicts of Scottish chieftains. Concerning these no man in Scotland knew so much as he, his knowledge furnishing the foundation alike of his lays and his romances. His enthusiasm for these scenic and historic interests was unquenchable,–a source of perpetual enjoyment, which made him a most acceptable visitor wherever he chose to go, both among antiquaries and literary men, and ladies of rank and fashion. In March, 1799, Mr. and Mrs. Scott visited London, where they were introduced to many distinguished literary men. On their return to Edinburgh, the office of sheriff depute of Selkirkshire having become vacant, worth £300 a year, Scott received the appointment, which increased his income to about £700. Although his labors were light, the office entailed the necessity of living in that county a few months in each year. It was a pastoral, quiet, peaceful part of the country, belonging to the Duke of Buccleuch, his friend and patron. His published translation in this year of Goethe’s “Goetz of Berlichingen” added to his growing reputation, and led him on towards his career. With a secure and settled income, Scott now meditated a literary life. A hundred years ago such a life was impossible without independent means, if a man would mingle in society and live conventionally, and what was called respectably. Even Burns had to accept a public office, although it was a humble one, and far from lucrative; but it gave him what poetry could not,–his daily bread. Hogg, peasant-poet of the Ettrick forest, was supported in all his earlier years by tending sheep and borrowing money from his friends. It was in 1802 that the first and second volumes of the “Minstrelsy” appeared, in an edition of eight hundred copies, Scott’s share of the profits amounting to £78 10 s., which did not pay him for the actual expenditure in the collection of his materials. The historical notes with which he elucidated the value of the ancient ballads, and the freshness and vigor of those which he himself wrote for the collection, secured warm commendations from Ellis, Ritson, and other friends, and the whole edition was sold; yet the work did not bring him wide fame. The third and last volume was issued in 1803. The work is full of Scott’s best characteristics,–wide historical knowledge, wonderful industry, humor, pathos, and a sympathetic understanding of life–that of the peasant as well as the knight–such as seizes the imagination. Lockhart quotes a passage of Scott’s own self-criticism: “I am sensible that if there be anything good about my poetry, or prose either, it is a hurried frankness of composition, which pleases soldiers, sailors, and young people of bold and active dispositions.” His ability to “toil terribly” in accumulating choice material, and then, fusing it in his own spirit, to throw it forth among men with this “hurried frankness” that stirs the blood, was the secret of his power. Scott did not become famous, however, until his first original poem appeared,–“The Lay of the Last Minstrel,” printed by Ballantyne in 1805, and published by Longman of London, and Constable of Edinburgh. It was a great success; nearly fifty thousand copies were sold in Great Britain alone by 1830. For the first edition of seven hundred and fifty copies quarto, Scott received £169 6 s., and then sold the copyright for £500. In the meantime, a rich uncle died without children, and Scott’s share of the property enabled him, in 1804, to rent from his cousin, Major-General Sir James Russell, the pretty property called Ashestiel,–a cottage and farm on the banks of the Tweed, altogether a beautiful place, where he lived when discharging his duties of sheriff of Selkirkshire. He has celebrated the charms of Ashestiel in the canto introduction to “Marmion.” His income at this time amounted to about £1000 a year, which gave him a position among the squires of the neighborhood, complete independence, and leisure to cultivate his taste. His fortune was now made: with poetic fame besides, and powerful friends, he was a man every way to be envied. From wandering on a foreign strand? If such there breathe, go, mark him well! The favor with which “The Lay of the Last Minstrel” was received, greater than that of any narrative poem of equal length which had appeared for two generations, even since Dryden’s day, naturally brought great commendation from Jeffrey, the keenest critic of the age, in the famous magazine of which he was the editor. The Edinburgh Review had been started only in 1802 by three young men of genius,–Jeffrey, Brougham, and Sydney Smith,–and had already attained great popularity, but not such marvellous influence as it wielded ten years afterwards, when nine thousand copies were published every three months, and at such a price as gave to its contributors a splendid remuneration, and to its editors absolute critical independence. The only objection to this powerful periodical was the severity of its criticisms, which often also were unjust. It seemed to be the intent of the reviewers to demolish everything that was not of extraordinary merit. Fierce attacks are not criticism. The articles in the Edinburgh Review were of a different sort from the polished and candid literary dissections which made Ste.-Beuve so justly celebrated. In the beginning of the century, however, these savage attacks were all the fashion and to be expected; yet they stung authors almost to madness, as in the case of the review of Byron’s early poetry. Literary courtesy did not exist. Justice gave place generally to ridicule or sarcasm. The Edinburgh Review was a terror to all pretenders, and often to men of real merit. But it was published when most judges were cruel and severe, even in the halls of justice. The friendship between Scott and Jeffrey had been very close for ten years before the inception of the Edinburgh Review; and although Scott was (perhaps growing out of his love for antiquarian researches and admiration of the things that had been) an inveterate conservative and Tory, while the new Review was slashingly liberal and progressive, he was drawn in by friendship and literary interest to be a frequent contributor during its first three or four years. The politics of the Edinburgh Review, however, and the establishment in 1808 of the conservative Quarterly Review, caused a gradual cessation of this literary connection, without marring the friendly relations between the two men. About this time began Scott’s friendship with Wordsworth, for whom he had great respect. Indeed, his modesty led him to prefer everybody’s good poetry to his own. He felt himself inferior not only to Burns, but also to Wordsworth and Campbell and Coleridge and Byron,–as in many respects he undoubtedly was; but it requires in an author discernment and humility of a rare kind, to make him capable of such a discrimination. More important to him than any literary friendship was his partnership with James Ballantyne, the printer, whom he had known from his youth. This in the end proved unfortunate, and nearly ruined him; for Ballantyne, though an accomplished man and a fine printer, as well as enterprising and sensible, was not a safe business man, being over-sanguine. For a time, however, this partnership, which was kept secret, was an advantage to both parties, although Scott embarked in the enterprise his whole available capital, about £5000. In connection with the publishing business, soon added to the printing, with James Ballantyne’s brother John as figure-head of the concern,–a talented but dissipated and reckless “good fellow,” with no more head for business than either James Ballantyne or Scott,–the association bound Scott hand and foot for twenty years, and prompted him to adventurous undertakings. But it must be said that the Ballantynes always deferred to him, having for him a sentiment little short of veneration. One of the first results of this partnership was an eighteen-volume edition of Dryden’s poems, with a Life, which must have been to Scott little more than drudgery. He was well paid for his work, although it added but little to his fame, except for intelligent literary industry. Before the Dryden, however, in the same year, 1808, appeared the poem of “Marmion: A Tale of Flodden Field,” which was received by the public with great avidity, and unbounded delight. Jeffrey wrote a chilling review, for which Scott with difficulty forgave him, since with all his humility and amiability he could not bear unfriendly or severe criticism. As stated above, it was about this time that Scott broke off his connection with the Edinburgh Review. Perhaps that was what Jeffrey wished, since the Review became thenceforth more intensely partisan, and Scott’s Toryism was not what was wanted. The sale of “Marmion” ultimately reached fifty thousand copies in Great Britain. The poem was originally published in a luxurious quarto at thirty-one and a-half shillings. Besides one thousand guineas in advance, half the profits went to Scott, and must have reached several thousand pounds,–a great sale, when we remember that it was confined to libraries and people of wealth. In America, the poem was sold for two or three shillings,–less than one-tenth of what it cost the English reader. A successful poem or novel in England is more remunerative to the author, from the high price at which it is published, than in the United States, where prices are lower and royalties rarely exceed ten per cent. It must be borne in mind, however, that in England editions are ordinarily very small, sometimes consisting of not more than two hundred and fifty copies. The first edition of “Marmion” was only of two thousand copies. The largest edition published was in 1811, of five thousand copies octavo; but even this did not circulate largely among the people. The popularity of Scott in England was confined chiefly to the upper classes, at least until the copyright of his books had expired. The booksellers were not slow in availing themselves of Scott’s popularity. They employed him to edit an edition of Swift for £1500, and tried to induce him to edit a general edition of English poets. That scheme was abandoned in consequence of a disagreement between Scott and Murray, the London publisher, as to the selection of poets. I think the quarrels of authors eighty or one hundred years ago with their publishers were more frequent than they are in these times. We read of a long alienation between Scott and Constable, the publisher, who enjoyed a sort of monopoly of the poet’s contributions to literature. Constable soon after found a great rival in Murray, who was at this time an obscure London bookseller in Fleet Street. Both these great publishers were remarkable for sagacity, and were bold in their ventures. The foundation of Constable’s wealth was laid when he was publishing the Edinburgh Review. In 1809, Murray started the Quarterly Review, its great political rival, with the aid of Scott, who wrote many of its most valuable articles; and William Gilford, satirist and critic, became its first editor. Growing out of the quarrel between Scott and Constable was the establishment of John Ballantyne & Co. as publishers and booksellers in Edinburgh. Shortly after the establishment of the Quarterly Review as a Tory journal, Scott began his third great poem, “The Lady of the Lake,” which was published in 1810, in all the majesty of a quarto, at the price of two guineas a copy. He received for it two thousand guineas. The first edition of two thousand copies disappeared at once, and was followed the same year by four octavo editions. In a few months the sale reached twenty thousand copies. The poem received great commendation both from the Quarterly and the Edinburgh Review. This seems to me to be a fair criticism, although the lucidity of Scott’s poetry is not that which is most admired by modern critics. Fashion in these times delights in what is obscure and difficult to be understood, as if depth and profundity must necessarily be unintelligible to ordinary readers. In Scott’s time, however, the fashion was different, and the popularity of his poems became almost universal. However, there are the same fire, vivacity, and brilliant coloring in all three of these masterpieces, as they were regarded two generations ago, reminding one of the witchery of Ariosto; yet there is no great variety in these poems such as we find in Byron, no great force of passion or depth of sentiment, but a sort of harmonious rhythm,–more highly prized in the earlier part of the century than in the latter, since Wordsworth and Tennyson have made us familiar with what is deeper and richer, as well as more artistic, in language and versification. But no one has denied Scott’s originality and high merits, in contrast with the pompous tameness and conventionality of the poetry which arose when Johnson was the oracle of literary circles, and which still held the stage in Scott’s day. Even Scott’s admirers, however, like Canning and Ellis, did not hesitate to say that they would like something different from anything he had already written. But this was not to be; and perhaps the reason why he soon after gave up writing poetry was the conviction that his genius as a poet did not lie in variety and richness, either of style or matter. His great fame was earned by his novels. 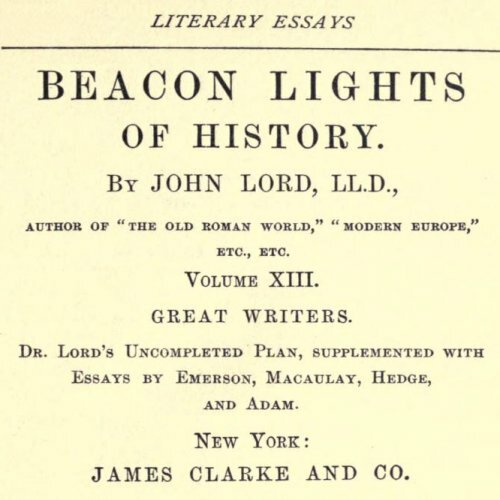 One thing greatly surprises me: Scott regarded Joanna Baillie as the greatest poetical genius of that day, and be derived more pleasure from reading Johnson’s “London” and “The Vanity of Human Wishes” than from any other poetical composition. Indeed, there is nothing more remarkable in literary history than Scott’s admiration of poetry inferior to his own, and his extraordinary modesty in the estimate of his own productions. Most poets are known for their morbid vanity, their self-consciousness, their feeling of superiority, and their depreciation of superior excellence; but Scott had eminently a healthy mind, as he had a healthy body, and shrank from exaggeration as he did from vulgarity in all its forms. It is probable that his own estimate of his poetry was nearer the truth than that of his admirers, who were naturally inclined to be partial. 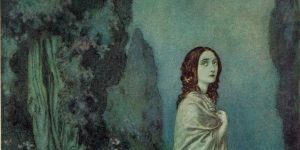 There has been so much poetry written since “The Lady of the Lake” was published,–not only by celebrated poets like Wordsworth, Southey, Moore, Byron, Campbell, Keats, Shelley, Tennyson, Browning, Longfellow, Lowell, Whittier, Bryant, but also by many minor authors,–that the standard is now much higher than it was in the early part of the century. Much of that which then was regarded as very fine is now smiled at by the critics, and neglected by cultivated readers generally; and Scott has not escaped unfavorable criticism. It has been my object to present the subject of this Lecture historically rather than critically,–to show the extraordinary popularity of Scott as a poet among his contemporaries, rather than to estimate his merit at the present time. I confess that most of “Marmion,” as also of the “Lady of the Lake,” is tame to me, and deficient in high poetic genius. Doubtless we are all influenced by the standards of our own time, and the advances making in literature as well as in science and art. Yet this change in the opinions of critics does not apply to Byron’s “Childe Harold,” which is as much, if not as widely, admired now as when it was first published. We think as highly too of “The Deserted Village,” the “Elegy in a Country Churchyard,” and the “Cotter’s Saturday Night,” as our fathers did. And men now think much more highly of the merits of Shakspeare than they have at any period since he lived; so that after all there is an element in true poetry which does not lose by time. In another hundred years, the verdicts of critics as to the greater part of the poems of Tennyson, Wordsworth, Browning, and Longfellow, may be very different from what they now are, while some of their lyrics may be, as they are now, pronounced immortal. Poetry is both an inspiration and an art. The greater part of that which is now produced is made, not born. Those daintily musical and elaborate measures which are now the fashion, because they claim novelty, or reproduce the quaintness of an art so old as to be practically new, perhaps will soon again be forgotten or derided. What is simple, natural, appealing to the heart rather than to the head, may last when more pretentious poetry shall have passed away. Neither criticism nor contemporary popularity can decide such questions. Scott ought to have been content with Ashestiel; or, since every man wishes to own his home, he should have been satisfied with the comfortable cottage which he built at Abbotsford, and the modest improvements that his love for trees and shrubs enabled him to make. But his aspirations led him into serious difficulties. With all his sagacity and good sense, Scott never seemed to know when he was well off. It was a fatal mistake both for his fame and happiness to attempt to compete with those who are called great in England and Scotland,–that is, peers and vast landed proprietors. He was not alone in this error, for it has generally been the ambition of fortunate authors to acquire social as well as literary distinction,–thus paying tribute to riches, and virtually abdicating their own true position, which is higher than any that rank or wealth can give. It has too frequently been the misfortune of literary genius to bow down to vulgar idols; and the worldly sentiments which this idolatry involves are seen in almost every fashionable novel which has appeared for a hundred years. In no country is this melancholy social slavery more usual than in England, with all its political freedom, although there are noble exceptions. The only great flaw in Scott’s character was this homage to rank and wealth. On the other hand, rank and wealth also paid homage to him as a man of genius; both Scotland and England received him into the most select circles, not only of their literary and political, but of their fashionable, life. If public opinion is far different to-day from what it was in Scott’s time in reference to his poetry, we observe the same change in regard to the source of his widest fame, his novels,–but not to so marked a degree, for it was in fiction that Scott’s great gifts had their full fruition. Many a fine intellect still delights in his novels, though cultivated readers and critics differ as to their comparative merits. No two persons will unite in their opinions as to the three of those productions which they like most or least. It is so with all famous novels. Then, too, what man of seventy will agree with a man of thirty as to the comparative merits of Scott, Dickens, Thackeray, Trollope, George Eliot, Eugene Sue, Victor Hugo, Balzac, George Sand? How few read “Uncle Tom’s Cabin,” compared with the multitudes who read that most powerful and popular book forty years ago? How changing, if not transient, is the fame of the novelist as well as of the poet! With reference to him even the same generation changes its tastes. What filled us with delight as young men or women of twenty, is at fifty spurned with contempt or thrown aside with indifference. No books ever filled my mind and soul with the delight I had when, at twelve years of age, I read “The Children of the Abbey” and “Thaddeus of Warsaw,” What man of eighty can forget the enthusiasm with which he read “Old Mortality” or “Ivanhoe” when he was in college? Perhaps one test of a great book is the pleasure derived from reading it over and over again,–as we read “Don Quixote,” or the dramas of Shakspeare, of whose infinite variety we never tire. Measured by this test, the novels of Sir Walter Scott are among the foremost works of fiction which have appeared in our world. They will not all retain their popularity from generation to generation, like “Don Quixote” or “The Pilgrim’s Progress” or “The Vicar of Wakefield;” but these are single productions of their authors, while not a few of Scott’s many novels are certainly still read by cultivated people,–if not with the same interest they excited when first published, yet with profit and admiration. They have some excellencies which are immortal,–elevation of sentiment, chivalrous regard for women, fascination of narrative (after one has waded through the learned historical introductory chapters), the absence of exaggeration, the vast variety of characters introduced and vividly maintained, and above all the freshness and originality of description, both of Nature and of man. Among the severest and most bigoted of New England Puritans, none could find anything corrupting or demoralizing in his romances; whereas Byron and Bulwer were never mentioned without a shudder, and even Shakspeare was locked up in book-cases as unfit for young people to read, and not particularly creditable for anybody to own. The unfavorable comments which the most orthodox ever made upon Scott were as to the repulsiveness of the old Covenanters, as he described them, and his sneers at Puritan perfections. Scott, however, had contempt, not for the Puritans, but for many of their peculiarities,–especially for their cant when it degenerated into hypocrisy. One thing is certain, that no works of fiction have had such universal popularity both in England and America for so long a period as the Waverley Novels. Scott reigned as the undisputed monarch of the realm of fiction and romance for twenty-five years. He gave undiminished entertainment to an entire generation–and not that merely, but instruction–in his historical novels, although his views were not always correct,–as whose ever are? He who could charm millions of readers, learned and unlearned, for a quarter of a century must have possessed remarkable genius. Indeed, he was not only the central figure in English literature for a generation, but he was regarded as peculiarly original. Another style of novels may obtain more passing favor with modern readers, but Scott was justly famous; his works are to-day in every library, and form a delightful part of the education of every youth and maiden who cares to read at all; and he will as a novelist probably live after some who are now prime favorites will be utterly forgotten or ignored. About 1830 Bulwer was in his early successes; about 1840 Dickens was the rage of his day; about 1850 Thackeray had taken his high grade; and it was about 1860 that George Eliot’s power appeared. These still retain their own peculiar lines of popularity,–Bulwer with the romantic few, Thackeray with the appreciative intelligent, George Eliot with a still wider clientage, and Dickens with everybody, on account of his appeal to the universal sentiments of comedy and pathos. Scott’s influence, somewhat checked during the growth of these reputations and the succession of fertile and accomplished writers on both sides of the Atlantic,–including the introspective analysts of the past fifteen years,–has within a decade been rising again, and has lately burst forth in a new group of historical romancers who seem to have “harked back” from the subjective fad of our day to Scott’s healthy, adventurous objectivity. Not only so, but new editions of the Waverley Novels are coming one by one from the shrewd publishers who keep track of the popular taste, one of the most attractive being issued in Edinburgh at half-a-crown a volume. The first of Scott’s remarkable series of novels, “Waverley,” published in 1814 when the author was forty-three years of age and at the height of his fame as a poet, took the fashionable and literary world by storm. 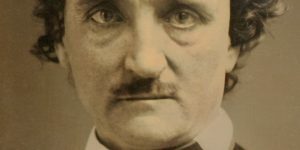 The novel had been partly written for several years, but was laid aside, as his edition of Swift and his essays for the supplement of the “Encyclopaedia Britannica,” and other prose writings, employed all the time he had to spare. This hack-work was done by Scott without enthusiasm, to earn money for his investment in real estate, and is not of transcendent merit. Obscurer men than he had performed such literary drudgery with more ability, but no writer was ever more industrious. The amount of work which he accomplished at this period was prodigious, especially when we remember that his duties as sheriff and clerk of Sessions occupied eight months of the year. He was more familiar with the literary history of Queen Anne’s reign than any subsequent historian, if we except Macaulay, whose brilliant career had not yet begun. He took, of course, a different view of Swift from the writers of the Edinburgh Review, and was probably too favorable in his description of the personal character of the Dean of St. Patrick’s, who is now generally regarded as “inordinately ambitious, arrogant, and selfish; of a morose, vindictive, and haughty temper, utterly destitute of generosity and magnanimity, as well as of tenderness, fidelity, and compassion.” Lord Jeffrey, in his Review, attacked Swift’s moral character with such consummate ability as to check materially the popularity of his writings, which are universally admitted to be full of genius. His superb intellect and his morality present a sad contrast,–as in the cases of Bacon, Burns, and Byron,–which Scott, on account of the force of his Tory prejudices, did not sufficiently point out. But as to the novel, when it suddenly appeared, it is not surprising that “Waverley” should at once have attained an unexampled popularity when we consider the mediocrity of all works of fiction at that time, if we except the Irish tales of Maria Edgeworth. Scott received from Constable £1000 for this romance, then deemed a very liberal remuneration for what cost him but a few months’ work. The second and third volumes were written in one month. He wrote with remarkable rapidity when his mind was full of the subject; and his previous studies as an antiquary and as a collector of Scottish poetry and legends fitted him for his work, which was in no sense a task, but a most lively pleasure. It is not known why Scott published this strikingly original work anonymously; perhaps it was because of his unusual modesty, and the fear that he might lose the popularity he had already enjoyed as a poet. But it immediately placed him on a higher literary elevation, since it was generally suspected that he was the author. He could not altogether disguise himself from the keen eyes of Jeffrey and other critics. The book was received as a revelation. The first volume is not particularly interesting, but the story continually increases in interest to its close. It is not a dissection of the human heart; it is not even much of a love-story, but a most vivid narrative, without startling situations or adventures. Its great charm is its quiet humor,–not strained into witty expressions which provoke laughter, but a sort of amiable delineation of the character of a born gentleman, with his weaknesses and prejudices, all leaning to virtue’s side. It is a description of manners peculiar to the Scottish gentry in the middle of the eighteenth century, especially among the Jacobite families then passing away. Of course the popularity of this novel, at that time, was chiefly confined to the upper classes. In the first place the people could not afford to pay the price of the book; and, secondly, it was outside their sympathies and knowledge. Indeed, I doubt if any commonplace person, without culture or extended knowledge, can enjoy so refined a work, with so many learned allusions, and such exquisite humor, which appeals to a knowledge of the world in its higher aspects. It is one of the last books that an ignorant young lady brought up on the trash of ordinary fiction would relish or comprehend. Whoever turns uninterested from “Waverley” is probably unable to see its excellencies or enjoy its peculiar charms. It is not a book for a modern school-boy or school-girl, but for a man or woman in the highest maturity of mind, with a poetic or imaginative nature, and with a leaning perhaps to aristocratic sentiments. It is a rebuke to vulgarity and ignorance, which the minute and exaggerated descriptions of low life in the pages of Dickens certainly are not. In February, 1815, “Guy Mannering” was published, the second in the series of the Waverley Novels, and was received by the intelligent reading classes with even more éclat than “Waverley,” to which it is superior in many respects. It plunges at once in medias res, without the long and labored introductory chapters of its predecessor. It is interesting from first to last, and is an elaborate and well-told tale, written con amore, when Scott was in the maturity of his powers. It is full of incident and is delightful in humor. Its chief excellence is in the loftiness of its sentiments,–being one of the healthiest and wholesomest novels ever written, appealing to the heart as well as to the intellect, to be read over and over again, like “The Vicar of Wakefield,” without weariness. It may be too aristocratic in its tone to please everybody, but it portrays the sentiments of its age in reference to squires and Scottish lairds, who were more distinguished for uprightness and manly duties than for brains and culture. The fascination with which Scott always depicts the virtues of hospitality and trust in humanity makes a strong impression on the imagination. His heroes and heroines are not remarkable for genius, but shine in the higher glories of domestic affection and fidelity to trusts. Two characters in particular are original creations,–“Dominie Sampson” and “Meg Merrilies,” whom no reader can forget,–the one, ludicrous for his simplicity; and the other a gypsy woman, weird and strange, more like a witch than a sibyl, but intensely human, and capable of the strongest attachment for those she loved. Scott received about £2000 for this favorite romance,–one entirely new in the realm of fiction,–which enabled him to pay off his most pressing debts, and indulge his taste for travel. He visited the Field of Waterloo, and became a social lion in both Paris and London. The Prince of Wales sent him a magnificent snuff-box set with diamonds, and entertained him with admiring cordiality at Carlton House,–for his authorship of “Waverley” was more than surmised, while his fame as a poet was second only to that of Byron. Then (in the spring of 1815) took place the first meeting of these two great bards, and their successive interviews were graced with mutual compliments. Scott did not think that Byron’s reading was extensive either in poetry or history, in which opinion the industrious Scottish bard was mistaken; but he did justice ta Byron’s transcendent genius, and with more charity than severity mourned over his departure from virtue. After a series of brilliant banquets at the houses of the great, both of rank and of fame, Scott returned to his native land to renew his varied and exhausting labors, having furnished his publishers with a volume of letters on the subjects which most interested him during his short tour. Everything he touched now brought him gold. Scott was now at the flood-tide of his creative power, and his industry was as remarkable as his genius. There was but little doubt in the public mind as to the paternity of the Waverley Novels, and whatever Scott wrote was sure to have a large sale; so that every publisher of note was eager to have a hand in bringing his productions before the public. In 1816 appeared the “Edinburgh Annual Register,” containing Scott’s sketch of the year 1814, which, though very good, showed that the author was less happy in history than in fiction. The first series of “Tales of My Landlord” was published by Murray, and not by Constable, who had brought out Scott’s other works, and the book was received with unbounded enthusiasm. Many critics place “Old Mortality” in the highest niche of merit and fame. Frere of the Quarterly Review, Hallam, Boswell, Lamb, Lord Holland, all agreed that it surpassed his other novels. Bishop Heber said, “There are only two men in the world,–Walter Scott and Lord Byron.” Lockhart regarded “Old Mortality” as the “Marmion” of Scott’s novels; but the painting of the Covenanters gave offence to the more rigid of the Presbyterians. For myself, I have doubt as to the correctness of their criticisms. “Old Mortality,” in contrast with the previous novels of Scott, has a place similar to the later productions of George Eliot as compared with her earlier ones. It is not so vivid a sketch of Scotch life as is given in “Guy Mannering.” Like “The Antiquary,” it is bookish rather than natural. From a literary point of view, it is more artistic than “Guy Mannering,” and more learned. “The canvas is a broader one.” Its characters are portrayed with great skill and power, but they lack the freshness which comes from actual contact with the people described, and with whom Scott was familiar as a youth in the course of his wanderings. It is more historical than realistic. In short, “Old Mortality” is another creation of its author’s brain rather than a painting of real life. But it is justly famous, for it was the precursor of those brilliant historical romances from which so much is learned of great men already known to students. It was a new departure in literature. Before Scott arose, historical novels were comparatively unknown. He made romance instructive, rather than merely amusing, and added the charm of life to the dry annals of the past. Cervantes does not portray a single great character known in Spanish history in his “Don Quixote,” but he paints life as he has seen it. So does Goldsmith. So does George Eliot in “Silas Marner.” She presents life, indeed, in “Romola,”–not, however, as she had personally observed it, but as drawn from books, recreating the atmosphere of a long gone time by the power of imagination. With the publication of “Old Mortality” in 1816, then, Scott introduced the first of his historical novels, which had great fascination for students. Who ever painted the old Cameronian with more felicity? Who ever described the peculiarities of the Scottish Calvinists during the reign of the last of the Stuarts with more truthfulness,–their severity, their strict and Judaical observance of the Sabbath, their hostility to popular amusements, their rigid and legal morality, their love of theological dogmas, their inflexible prejudices, their lofty aspirations? Where shall we find in literature a sterner fanatical Puritan than John Balfour of Burley, or a fiercer royalist than Graham of Claverhouse? As a love-story this novel is not remarkable. It is not in the description of passionate love that Scott anywhere excels. His heroines, with two or three exceptions, would be called rather tame by the modern reader, although they win respect for their domestic virtues and sterling elements of character. His favorite heroes are either Englishmen of good family, or Scotchmen educated in England,–gallant, cultivated, and reproachless, but without any striking originality or intellectual force. “Rob Roy” was published in the latter part of 1817, and was received by the public with the same unabated enthusiasm which marked the appearance of “Guy Mannering” and the other romances. An edition of ten thousand was disposed of in two weeks, and the subsequent sale amounted to forty thousand more. The scene of this story is laid in the Highlands of Scotland, with an English hero and a Scottish heroine; and in this fascinating work the political history of the times (forty years earlier than the period of “Waverley”) is portrayed with great impartiality. It is a description of the first Jacobite rising against George I. in the year 1715. In this novel one of the greatest of Scott’s creations appears in the heroine, Diana Vernon,–rather wild and masculine, but interesting from her courage and virtue. The character of Baillie Jarvie is equally original and more amusing. The general effect of “Rob Roy,” as well as of “Waverley” and “Old Mortality,” was to make the Scottish Highlanders and Jacobites interesting to English readers of opposite views and feelings, without arousing hostility to the reigning royal family. The Highlanders a hundred years ago were viewed by the English with sentiments nearly similar to those with which the Puritan settlers of New England looked upon the Indians,–at any rate, as freebooters, robbers, and murderers, who were dangerous to civilization; and the severities of the English government toward these lawless clans, both as outlaws and as foes of the Hanoverian succession, were generally condoned by public opinion. Scott succeeded in producing a better feeling among both the conquerors and the conquered. He modified general sentiment by his impartial and liberal views, and allayed prejudices. The Highlanders thenceforth were regarded as a body of men with many interesting traits, and capable of becoming good subjects of the Crown; while their own hatred and contempt of the Lowland Saxon were softened by the many generous and romantic incidents of these tales. Two hitherto hostile races were drawn into neighborly sympathy. Travellers visited the beautiful Highland retreats, and returned with enthusiastic impressions of the country. To no other man does Scotland owe so great a debt of gratitude as to Walter Scott, not only for his poetry and novels, but for showing the admirable traits of a barren country and a fierce population, and contributing to bring them within the realm of civilization. A century or two ago the Highlands of Scotland were peopled by a race in a state of perpetual conflict with civilization, averse to labor, gaining (except such of them as were enrolled in the English Army) a precarious support by plunder, black-mailing, smuggling, and other illegal pursuits. Now they compose a body of hard-working, intelligent, and law-abiding laborers, cultivating farms, raising cattle and sheep, and pursuing the various branches of industry which lead to independence, if not to wealth. The traveller among the Highlanders feels as secure and is made as comfortable as in any part of the island; while revelations of their shrewd intelligence and unsuspected wit, in the stories of Barrie and Crockett, show what a century of Calvinistic theology–as the chief mental stimulant–has done in developing blossoms from that thistle-like stock. Scott had now all the fame and worldly prosperity which any literary man could attain to,–for his authorship of the novels, although unacknowledged, was more and more generally believed, and after 1821 not denied. He lived above the atmosphere of envy, honored by all classes of people, surrounded with admiring friends and visitors. He had an income of at least £10,000 a year. Wherever he journeyed he was treated with the greatest distinction. In London he was cordially received as a distinguished guest in any circle he chose. The highest nobles paid homage to him. The King made him a baronet,–the first purely literary man in England to receive that honor. He now became ambitious to increase his lands; and the hundred acres of farm at Abbotsford were enlarged by new purchases, picturesquely planted with trees and shrubberies, while “the cottage grew to a mansion, and the mansion to a castle,” with its twelve hundred surrounding acres, cultivated and made beautiful. And yet in the midst of this homage and increasing prosperity, one of the most fortunate of human beings, Scott’s head was not turned. His habitual modesty preserved his moral health amid all sorts of temptation. He never lost his intellectual balance. He assumed no airs of superiority. His manners were simple and unpretending to the last. He praised all literary productions except his own. His life in Edinburgh was plain, though hospitable and free; and he seemed to care for few luxuries aside from books, of which life made a large collection. The furniture of his houses in Edinburgh and at Abbotsford was neither showy nor luxurious. He was extraordinarily fond of dogs and all domestic animals, who–sympathetic creatures as they are–unerringly sought him out and lavished affection upon him. When Scott lived in Castle Street he was not regarded by Edinburgh society as particularly brilliant in conversation, since he never aspired to lead by learned disquisitions. He told stories well, with great humor and pleasantry, to amuse rather than to instruct. His talk was almost homely. The most noticeable thing about it was common-sense. Lord Cockburn said of him that “his sense was more wonderful than his genius.” He did not blaze like Macaulay or Mackintosh at the dinner-table, nor absorb conversation like Coleridge and Sydney Smith. “He disliked,” says Lockhart, “mere disquisitions in Edinburgh and prepared impromptus in London.” A doctrinaire in society was to him an abomination. Hence, until his fame was established by the admiration of the world, Edinburgh professors did not see his greatness. To them he seemed commonplace, but not to such men as Hallam or Moore or Rogers or Croker or Canning. Notwithstanding Scott gave great dinners occasionally, they appear to have been a bore to him, and he very rarely went out to evening entertainments, although at public dinners his wit and sense made him a favorite chairman. He retired early at night and rose early in the morning, and his severest labors were before breakfast,–his principal meal. He always dined at home on Sunday, with a few intimate friends, and his dinner was substantial and plain. He drank very little wine, and preferred a glass of whiskey-toddy to champagne or port. He could not distinguish between madeira and sherry. He was neither an epicure nor a gourmand. One more unconscious, apparently, of his great powers has been rarely seen among literary men, especially in England and France,–affording a striking contrast in this respect to Dryden, Pope, Voltaire, Byron, Bulwer, Macaulay, Carlyle, Hugo, Dumas, and even Tennyson. 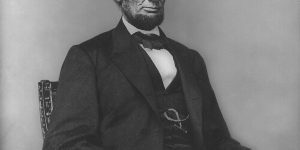 Great lawyers and great statesmen are rarely so egotistical and conceited as poets, novelists, artists, and preachers. Scott made no pretensions which were offensive, or which could be controverted. His greatest aspiration seems to have been to be a respectable landed proprietor, and to found a family. An English country gentleman was his beau-ideal of happiness and contentment. Perhaps this was a weakness; but it was certainly a harmless and amiable one, and not so offensive as intellectual pride. Scott indeed, while without vanity, had pride; but it was of a lofty kind, disdaining meanness and cowardice as worse even than transgressions which have their origin in unregulated passions. From the numerous expletives which abound in Scott’s letters, such as are not now considered in good taste among gentlemen, I infer that like most gentlemen of his social standing in those times he was in the habit of using, when highly excited or irritated, what is called profane language. After he had once given vent to his feelings, however, he was amiable and forgiving enough for a Christian sage, who never harbored malice or revenge. He had great respect for the military profession,–probably because it was the great prop and defence of government and established institutions, for he was the most conservative of aristocrats. And yet his aristocratic turn of mind never conflicted with his humane disposition,–never made him a snob. He abhorred all vulgarity. He admired genius and virtue in whatever garb they appeared. He was as kind to his servants, and to poor and unfortunate people, as he was to his equals in society, being eminently big-hearted. It was only fools, who made great pretensions, that he despised and treated with contempt. No doubt Scott was bored by the numerous visitors, whether invited or uninvited, who came from all parts of Great Britain, from America, and even from continental Europe, to do homage to his genius, or to gratify their curiosity. Sometimes as many as thirty guests sat down to his banqueting-table at once. He entertained in baronial style, but without ostentation or prodigality, and on old-fashioned dishes. He did not like French cooking, and his simple taste in the matters of beverage we have already noted. The people to whom he was most attentive were the representatives of ancient families, whether rich or poor. Scott was very kind to literary men in misfortune, and his chosen friends were authors of eminence,–like Miss Edgeworth, Joanna Baillie, Thomas Moore, Crabbe, Southey, Wordsworth, Sir Humphry Davy, Dr. Wollaston the chemist, Henry Mackenzie, etc. He was very intimate with the Duke of Buccleuch, Lord Montagu, and other noblemen. He was visited by dukes and princes, as well as by ladies of rank and fame. George IV. sent him valuable presents, and showed him every mark of high consideration. Cambridge and Oxford tendered to him honorary degrees. Wherever he travelled, he was received with honor and distinction and flatteries. But he did not like flatteries; and this was one reason why he did not openly acknowledge his authorship of his novels, until all doubt was removed by the masterly papers of John Leycester Adolphus in 1821. Scott’s correspondence must have been enormous, for his postage bills amounted to £150 per annum, besides the aid he received from franks, which with his natural economy he made no scruple in liberally using. Perhaps his most confidential letters were, like Byron’s, written to his publishers and printers, though many such were addressed to his son-in-law Lockhart, and to his dearest friend William Erskine. But he had also some admirable women friends, with whom he corresponded freely. Some of the choicest of his recently-published Letters are to Lady Abercorn, who was an intimate and helpful friend; to Miss Anna Seward, a literary confidant of many years; to Lady Louisa Stuart, daughter of the Earl of Bute, and granddaughter of Mary Wortley Montagu, one of the few who knew from the first of his “Waverley” authorship; and to Mrs. John Hughes, an early and most affectionate friend, whose grandson, Thomas Hughes, has made famous the commonplace name of “Tom Brown” in our own day. Scott’s letters show the man,–frank, cordial, manly, tender, generous, finding humor in difficulties, pleasure in toil, satisfaction in success, a proud courage in adversity, and the purest happiness in the affection of his friends. How Scott found time for so much work is a mystery,–writing nearly three novels a year, besides other literary labors, attending to his duties in the Courts, overlooking the building of Abbotsford and the cultivation of his twelve hundred acres, and entertaining more guests than Voltaire did at Ferney. He was too much absorbed by his legal duties and his literary labors to be much of a traveller; yet he was a frequent visitor to London, saw something of Paris, journeyed through Ireland, was familiar with the Lake region in England, and penetrated to every interesting place in Scotland. He did not like London, and took little pleasure in the ovations he received from people of rank and fashion. As a literary lion at the tables of “the great,” he disappointed many of his admirers, since he made no effort to shine. It was only in his modest den in Castle Street, or in rambles in the country or at Abbotsford, that he felt himself at home, and appeared to the most advantage. It would be pleasant to leave this genuinely great man in the full flush of health, creative power, inward delight and outward prosperity; but that were to leave unwritten the finest and noblest part of his life. It is to the misfortunes which came upon him that we owe both a large part of his splendid achievements in literature and our knowledge of the most admirable characteristics of the man. My running record of his novels last mentioned “The Monastery,” issued in 1820, in the same year with perhaps the prime favorite of all his works, “Ivanhoe,” the romantic tale of England in the crusading age of Richard the Lion-Hearted. In 1821 he put forth the fascinating Elizabethan tale of “Kenilworth.” In 1822 came “The Pirate” (the tale of sea and shore that inspired James Fenimore Cooper to write “The Pilot” and his other sea-stories) and “The Fortunes of Nigel;” in 1823, “Peveril of the Peak” and “Quentin Durward,” both among his best; in 1824, “St. Ronan’s Well” and “Redgauntlet;” and in 1825, two more Tales of the Crusaders,–“The Betrothed” and “The Talisman,” the latter probably sharing with “Ivanhoe” the greatest popularity. In the winter of 1825-1826, a widespread area of commercial distress resulted in the downfall of many firms; and among others to succumb were Hurst & Robinson, publishers, whose failure precipitated that of Constable & Co., Scott’s publishers, and of the Ballantynes his printers, with whom he was a secret partner, who were largely indebted to the Constables and so to the creditors of that house. The crash came January 16, 1826, and Scott found himself in debt to the amount of about £147,000,–or nearly $735,000. Such a vast misfortune, overwhelming a man at the age of fifty-five, might well crush out all life and hope and send him into helpless bankruptcy, with the poor consolation that, though legally responsible, he was not morally bound to pay other people’s debts. But Scott’s own sanguine carelessness had been partly to blame for the Ballantyne failure; and he faced the billow as it suddenly appeared, bowed to it in grief but not in shame, and, while not pretending to any stoicism, instantly resolved to devote the remainder of his life to the repayment of the creditors. The solid substance of manliness, honor, and cheerful courage in his character; the genuine piety with which he accepted the “dispensation,” and wrote “Blessed be the name of the Lord;” the unexampled steadiness with which he comforted his wife and daughters while girding himself to the daily work of intellectual production amidst his many distresses; the sweetness of heart with which he acknowledged the sympathy and declined the offers of help that poured in upon him from every side (one poor music teacher offering his little savings of £600, and an anonymous admirer urging upon him a loan of £30,000),–all this is the beauty that lighted up the black cloud of Scott’s adversity. His efforts were finally successful, although at the cost of his bodily existence. Lockhart says: “He paid the penalty of health and life, but he saved his honor and his self-respect. This completes the list of Scott’s greater productions; but it should be remembered that during all the years of his creative work he was incessantly doing critical and historical writing,–producing numerous reviews, essays, ballads; introductions to divers works; biographical sketches for Ballantyne’s “Novelist’s Library,”–the works of fifteen celebrated English writers of fiction, Fielding, Smollett, etc. ; letters and pamphlets; dramas; even a few religious discourses; and his very extensive and interesting private correspondence. He was such a marvel of productive brain-power as has seldom, if ever, been known to humanity. The illness and death of Scott’s beloved wife, but four short months after his commercial disaster, was a profound grief to him; and under the exhausting pressure of incessant work during the five years following, his bodily power began to fail,–so that in October, 1831, after a paralytic shock, he stopped all literary labor and went to Italy for recuperation. The following June he returned to London, weaker in both mind and body; was taken to Abbotsford in July; and on the 21st September, 1832, with his children about him, the kindly, manly, brave, and tender spirit passed away. At the time of his death Sir Walter had reduced his great indebtedness to $270,000. A life insurance of $110,000, $10,000 in the hands of his trustees, and $150,000 advanced by Robert Cadell, an Edinburgh bookseller, on the copyrights of Scott’s works, cleared away the last remnant of the debt; and within twenty years Cadell had reimbursed himself, and made a handsome profit for his own account and that of the family of Sir Walter. The moneyed details of Scott’s literary life have been made a part of this brief sketch, both because his phenomenal fecundity and popularity offer a convenient measure of his power, and because the fiscal misfortune of his later life revealed a simple grandeur of character even more admirable than his mental force. “Scott ruined!” exclaimed the Earl of Dudley when he heard of the trouble. “The author of Waverley ruined! Good God! let every man to whom he has given months of delight give him a sixpence, and he will rise to-morrow morning richer than Rothschild!” But the sturdy Scotchman accepted no dole; he set himself to work out his own salvation. William Howitt, in his “Homes and Haunts of Eminent British Poets,” estimated that Scott’s works had produced as profits to the author or his trustees at least £500,000,–nearly $2,500,000: this in 1847, over fifty years ago, and only forty-five years from Scott’s first original publication. Add the results of the past fifty years, and, remembering that this gives but the profits, conceive the immense sums that have been freely paid by the intelligent British public for their enjoyment of this great author’s writings. Then, besides all this, recall the myriad volumes of Scott sold in America, which paid no profit to the author or his heirs. There is no parallel. Voltaire’s renown and monetary rewards, as the master-writer of the eighteenth century, offer the only case in modern times that approaches Scott’s success; yet Voltaire’s vast wealth was largely the result of successful speculation. As a purely popular author, whose wholesome fancy, great heart, and tireless industry, has delighted millions of his fellow-men, Scott stands alone; while, as a man, he holds the affection and respect of the world. Even though it be that the fashion of his workmanship passeth away, wonder not, lament not. With Mithridates he could say, “I have lived.” What great man can say more?